Should our DNA be saved on the moon? 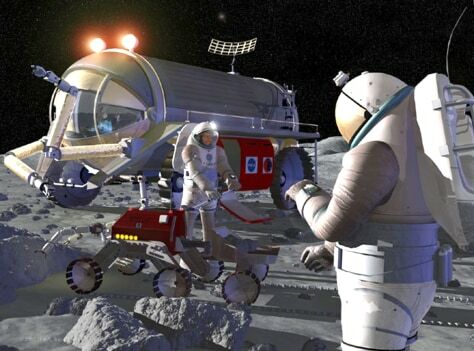 In this artist's conception, robotic vehicles and human explorers work together to build up a presence on the moon. Some scientists believe a lunar library would be the best place to save backup copies of Earth's genetic blueprints.